Construction products and materials for infrastructure pave the way for efficient and sustainable design in- and outdoors. We offer a large range of products for different applications tailored to your needs. With our polyurethane systems, engineering plastics, speciality foams and additives, we contribute to a sustainable future. To create a modern and inviting living environment, we need materials and product ideas that are functional, sustainable and attractive at the same time. Our materials deliver not just one-off solutions, but many possible applications ranging from coastal protection and surface design through to pipeline insulation, road and rail track construction and the protection of artificial ice rinks. 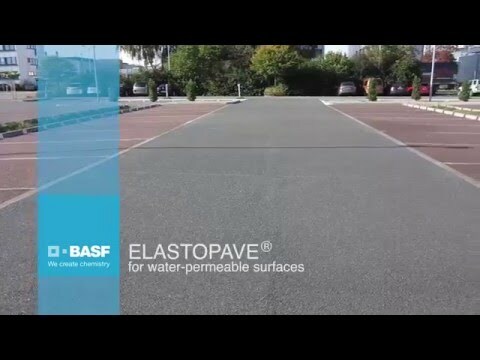 If you want to go new ways, innovative Elastopave® is the perfect choice for the design of paths, plazas, surfaces and even garden objects. Let yourself be inspired by the incredible potential of this product idea. Coastal protection also calls for more than forward-ideas application of intelligent concepts. The polyurethane system Elastocoast® makes not only our coasts safer, but also river banks, river beds and landslide-threatened slopes. With highly advanced pipeline coatings, we improve safety, offshore and onshore. Pipelines need one thing above all: Absolutely reliable protection, well above standard. For years, BASF has been offering a multitude of highly sophisticated detail solutions that have proven themselves in extremely heavy-duty conditions. Because they work – simply, trouble-free and reliably every time. The performance spectrum of the state-of-the-art polyurethane systems Elastopor® and Elastoshore® that BASF are now able to offer the industrial sector comprises flexibility, durability, loadability, heat insulation and impact resistance. More safety – less wear and tear. Through an intelligent mix of materials and application possibilities, BASF can successfully provide excellent insulation for heat and cold protection applications in pipelines. A variety of PU solutions are available – from rotating injection to continuous belt facilities and the traditional pipe-to-pipe procedure. High temperature resistance, long working life, good insulation properties and simple application are characteristic for all our systems. They are suitable for both rigid and flexible pipes, providing specific fire resistance adjustment as prescribed for use in the chemical industry, for example. 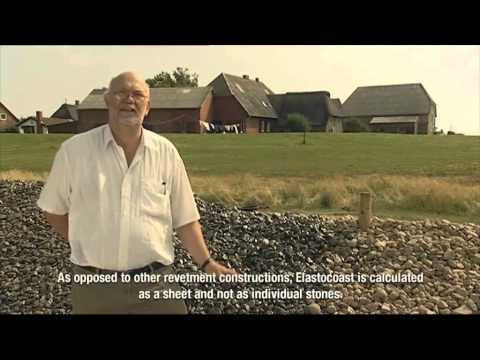 Elastopor® for example sets standards in terms of insulation properties, temperature stability and strength in water as deep as 250 metres. BASF offers glass syntactic Elastoshore systems (GSPU) especially for the difficult conditions met in very deep water – naturally these comprise BASF hg-free technology. PU joint infill used for lay barges to protect welding seams in pipes, as well as elastomers for PIGS (pipeline inspection gauges), bend stiffeners or bend restrictors are further areas of application for BASF polyurethanes, which are safe and reliable even under extreme conditions. Maximum performance on-and offshore requires thinking big right down to the smallest detail – that’s our speciality! Product features and techniques for on- and offshore and subsea applications couldn’t be more sophisticated. Resulting from decades of experience, BASF knows the oil & gas industry’s key factors for success – and offers state-of-the-art solutions for all systems and challenges. SPS - Sandwich Plate System is the name of the new technology for structural steel engineering. BASF has developed the Sandwich Plate System together with the Canadian-British company Intelligent Engineering. With various regional licensees, SPS has become a recognized and proven process worldwide. 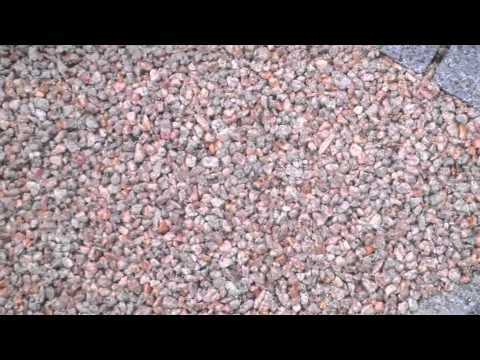 It is used where large steel parts are used or to reinforce concrete elements. SPS is the durable composite of two steel plates with a core of the polyurethane system Elastocore®. The composite system replaces conventionally reinforced steel plates and concrete components in shipbuilding and engineering, such as in grandstand and stadium construction or bridge carriageways. SPS is an effective and long-term alternative for replacing large steel components. The Elastocore® PUR system in combination with the steel plates has numerous advantages over conventional construction techniques. The continuous elastomer layer dissipates forces better and absorbs any shocks that may occur, making the component impact-resistant and vibration-damping at the same time. The material is also less susceptible to corrosion and fatigue, which significantly increases the service life of the construction. SPS constructions in the maritime and construction sectors are easier and faster to produce and also offer protection against fire and vibration.